Offering you a complete choice of products which include fire proximity suit and ear muff. 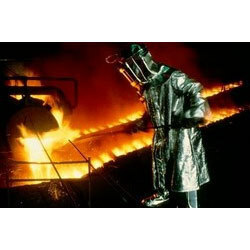 Bright medi-weld appliances® presents high quality fire proximity suit made from aluminized glass ignore cloth with vapour / heat resistance lining. Stitched with kevlar thread. It consists of hood, visor and fiber glass fireman helmet. Coverall with or without BA set pouch. Gloves with FR & woolen lining and insulation. Superior quality shoes with oil skid and heat resistance nitrile sole. Suitable for proximity fire industrial radiant heat upto 1500 deg°C. 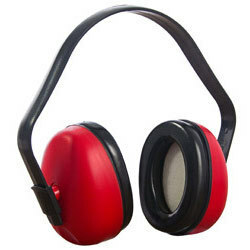 We provide Ear Muff-H-510 Approved EN 352-1-2002 ,one size fits all, comfortable fit.This can be used for long durations without discomfort.